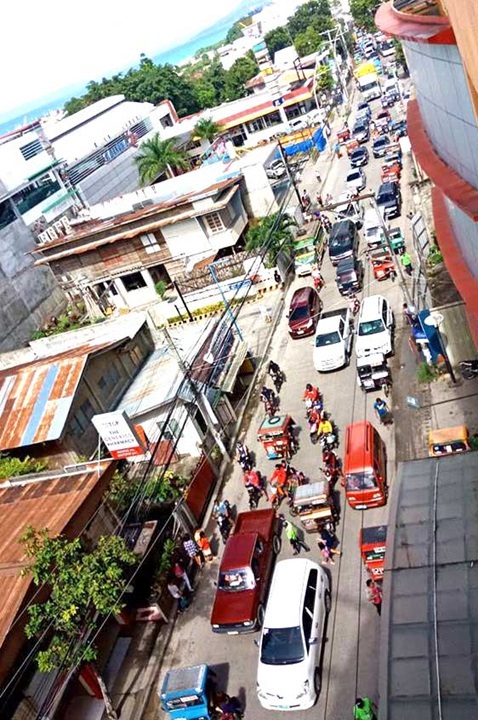 Photo shows traffic flow along Gallares Street in Tagbilaran City after the one-way loop system was implemented late in December. 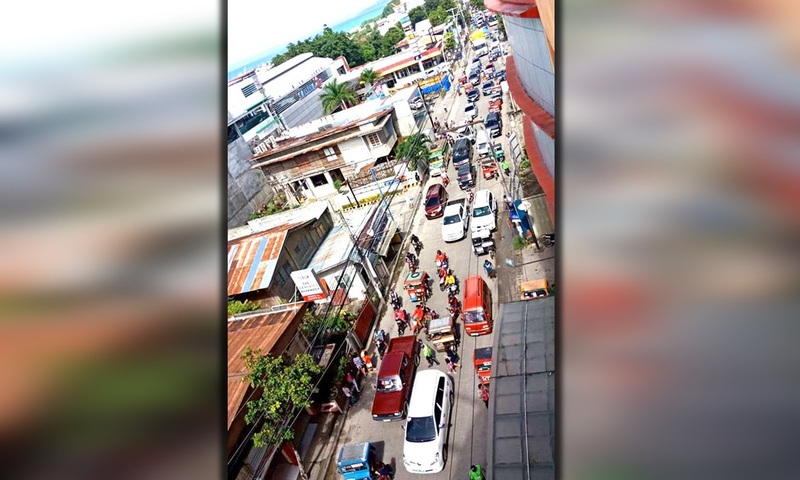 The one-week old one-way loop traffic system in the city started to generate positive reactions from both motorists and pedestrians despite some claimed “inconveniences” by some quarters. In a random survey conducted by top-rated “Inyong Alagad” of dyRD, majority of the respondents favor the new traffic scheme which started to ease traffic congestion along the major thoroughfares of CPG Ave. and Gallares st. The one-way flow of vehicles on a four lane highway along CPG Ave. is projecting a metropolitan look where the highway is bigger than the usual two-lane road. The unloading of passengers in front of Bohol Quality along Gallares st is the reason of the congestion of vehicles along Gallares st. Observers suggested that unloading should be done along MH del Pilar st., and not along Gallares st. The most congested area noted is at Plaza Rizal as all vehicles coming from Panglao-Dauis, the eastern towns and the vehicles from JA Clarin all converge at the Philippine National Bank in front of Plaza Rizal. Observers suggested if there is a way that vehicles from JA Clarin need not reach Plaza Rizal and instead get a road entry to reach CPG Ave. The congestion along B. Inting st. was also noted especially in front of Alturas Mall. The strict compliance of a no parking should be implemented but instead just a quick drop off of passengers in front of the mall. Meanwhile, suggestions were aired that the one-way loop system be lifted at night time when traffic is already light, perhaps at about 8 p.m. as done in other cities like in Dumaguete city.